It's been almost a year since the release of the original Optimus 3D from LG, and in that time we've been watching 3D technology continue to evolve. Undoubtedly you've seen the changes in your local cinema, and even your living room, if you happen to have a 3DTV. While it still hasn't permeated every aspect of our reality as in Total Recall or the likes, it's at a stage of budding infancy. 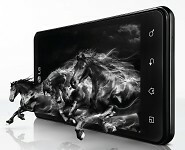 Since the Optimus 3D, LG have been the only big-name manufacturer to stick to their guns in the 3D smartphone market. There's been nothing official about a potential EVO 3D sequel by HTC and it's a safe bet to say that the cutting-edge of mobile 3D technology can be found in the Optimus 3D Max. It's hard to look at the 3D Max apart from its 3D viewing and recording capabilities - after all, it has 3D in the title. But beyond that, the phone can present some solid credentials, even by today's standards. 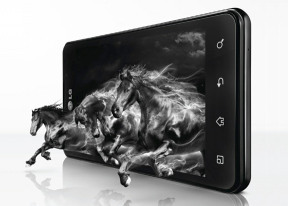 There's the dual-core processor, dual-lens 5MP stereoscopic camera, as well as full HD capabilities. It's not as loaded as some of the latest flagships, but it's got enough power to run whatever you throw at it without a hitch. With the 3D Max, LG has improved on the original we saw last year while choosing to keep most of the internals the same. With such similar specifications, you're not going to see much difference from a hardware standpoint. That said, the Optimus 3D Max is 2mm thinner and 20g lighter than its predecessor, and when held in hand, it feels noticeably less bulky than the original. 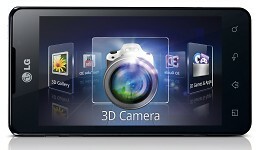 The 3D Max now looks more like an "ordinary" smartphone. The camera bump of the original Oprimus 3D is gone and, with a pleasantly textured back panel, the Max has a much more streamlined design. Considering the minor upgrades, LG has done well to make it a standard-looking package with an extra bonus, rather than a huge device that looks like it must do something special. Enough spoilers - join us after the jump for the actual hardware tour. My lock key and start button was unfunction.how to fix it manually??? That isinght's just what I've been looking for. Thanks!